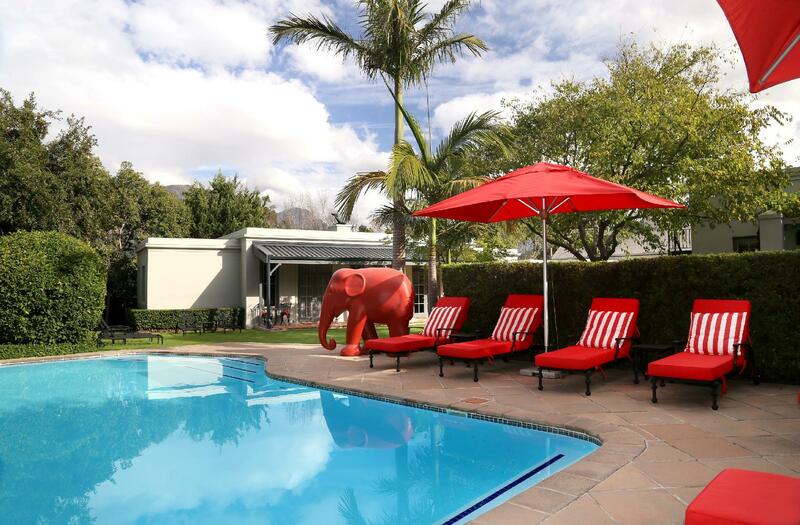 ﻿ Avondrood Guest House Franschhoek. JIMAT di Agoda.com! Ada soalan mengenai Avondrood Guest House? Menawarkan penginapan yang berkualiti tinggi di daerah budaya, romantik, restoran di Franschhoek, Avondrood Guest House merupakan pilihan popular untuk kedua-dua tujuan perniagaan dan percutian. Hanya 0.3 Km dari pusat bandar, lokasi strategik hotel memastikan tetamu boleh ke mana-mana sahaja dengan cepat dan mudah ke tempat-tempat tarikan. Dengan lokasi yang mudah, hotel ini memberikan akses mudah ke tempat yang anda perlu lawati di bandar. Avondrood Guest House menawarkan perkhidmatan yang sempurna dan semua kemudahan penting untuk menceriakan pelancong. Ketika menginap di hartanah yang indah ini, para tetamu boleh menikmati Wi-Fi percuma semua bilik, khidmat teksi, simpanan bagasi, Wi-Fi di tempat awam, tempat letak kereta. Hotel ini mempunyai 6 bilik yang sangat cantik, setiap bilik dilengkapi televisyen skrin rata, internet wayarles, internet wayarles (percuma), bilik larangan merokok, penyaman udara. Hotel ini menawarkan banyak peluang rekreasi yang unik seperti tab panas, kolam renang terbuka, taman. Avondrood Guest House merupakan pilihan yang bijak bagi pelancong ke Franschhoek, menawarkan penginapan yang santai dan mudah setiap kali. Spacious bedroom with good toiletries. Nice extras like swimming towels. Breakfast on terrace with view of garden but the large swimming pool out of sight. Best croissants ever as good as in France! Well located, close to centre, but tucked away so totally peaceful. Very helpful staff willing to advise on activities. One of the best places we stayed in a five week tour. Justin and Courtney ensured everything was just right. Our room was stunning, comfortable but luxurious. The pool was just the tonic after a hot afternoon exploring. We will definitely return. We had an amazing stay at Avondrood Guest House. From the moment we arrived, Justin and the team couldn’t have been more accommodating. The rooms are bright and airy with everything you could need including air con, coffee machine, international plugs and a range of really good toiletries. The breakfast was extensive with a cold buffet and a cooked to order hot choice, taken on the veranda outside it was just amazing. We didn’t use the swimming pool or hot tub but the grounds were immaculate. We would highly recommend Avondrood. Great stay. Fantastic service, lovely rooms and great location. Avondrood was our two night end to 3 weeks in South Africa for our honeymoon, and looking back I wish we had stayed an extra night now. It was wonderful from start to end. We arrived late, but Courtney came and met us, showed us around, made us feel so welcome and told us where to eat and gave us suggestions for the rest of our evening. Everything is close by. The second night we were helped by Nadine for somewhere to eat, even though I got lost and couldn't find the place, I called and spoke to Justin who helped us out, no problems. (They do supply a map, but I forgot mine, I blame the wine tour from earlier in the day). Anyway, that evening I had the best steak I've ever had thanks to these guys. The guest house is stunning, we stayed in a superior deluxe as a treat and so glad we did. High spec and beautiful. Breakfast is amazing, loads to choose from and all very fresh. Highly recommend Avondrood, the perfect ending to our honeymoon. Thank you! Avondrood is a beautiful guest house in a lovely garden. It is very conveniently situated and you are able to easily walk to restaurants and shops etc. Our bedroom was beautifully furnished with every convenience and it smelled lovely. The breakfast had a wide range of choices. 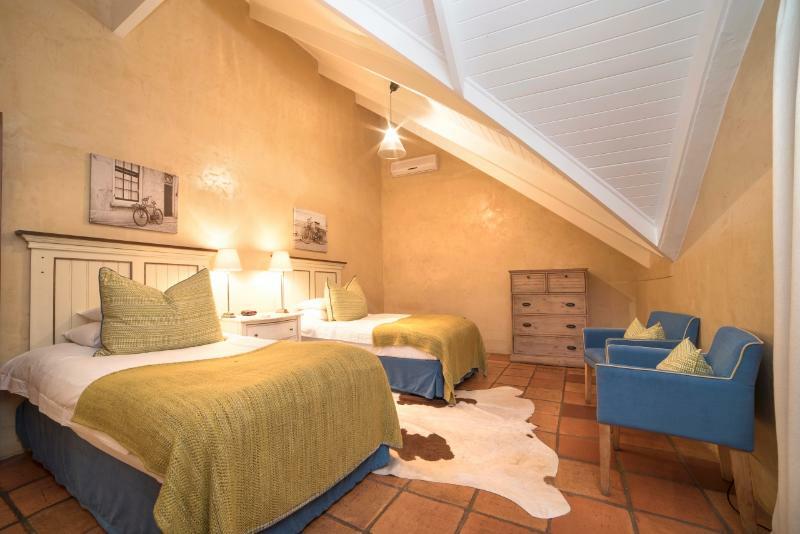 It is a wonderful place to stay in Franschoek and I would love to return. My boyfriend and I stayed in Avondrood for 3 days, everything was perfect, welcoming our room, location. We had a great holiday thanks to amazing owners, they gave us great recommendations and booked dinner for us. Location is perfect. 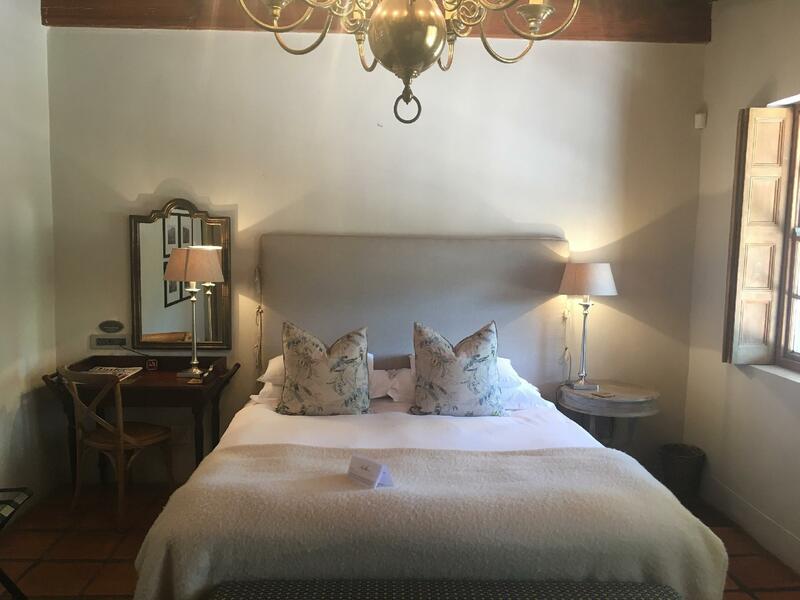 I would highly recommend here to anyone who is travelling to Franschhoek. Stayed at Avondrood for 2 nights. There were 3 of us in 2 rooms. The rooms were wonderful. Big bedroom, big bathroom and all the necessary amenities. This is a very nice place to stay with a terrific location. We will definitely stay here on our next trip to Franschoek. excellent hosts great accommodation location and breakfasts. Lovely comfortable room . Staff very helpful. Location , High Standard, The Owner. I would rate this guest house as 10 out of 10 it is amazing in every way. You will not be disappointed. Friendly staff, well appointed, well situated. Perfect, our room was large, comfortable bed, breakfast delicious, rooms and garden glorious. Our host was such a great help in recommending restaurants, places to visit, could not have been more helpful. We highly recommend this wonderful place. We just spent two nights at Avondrood Guest House and enjoyed every moment. The property is ideally located at the entrance to town - a short walk from all the best restaurants and shops. The rooms are huge and supremely comfortable with big comfy beds, massive bathrooms and everthing your heart could desire except decent in-room coffee (you get a sort of teabag fillled with brown powder that you soak in hot water). The grounds are magnificent with a lovely pool and hot tub, funky sculptures and well-tended lawn and gardens. The common living room and bar are beautifully appointed, well-stocked and welcomng at all hours. The inciuded breakfast is very tasty and generous. Justin Mitchell, the affable and very knowledgeable owner/manager is a wonderful host who is clearly well regarded throughout the village - a very helpful quality when you are looking for a table at one of Franschhoek's many fine restaurants. No worries there as Justin takes care of everything from airport transfers, to restaurant recommendations and reservations. The rest of his staff are so discreet as to be virtually invisible but nonetheless efficient. 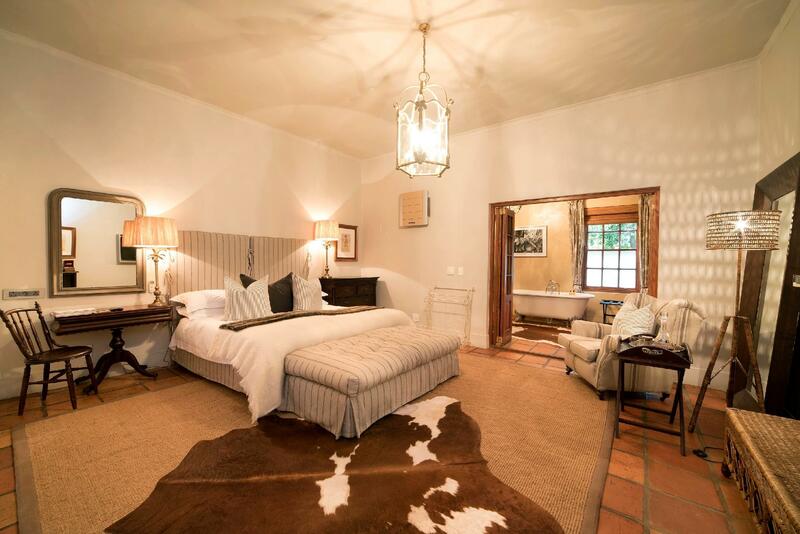 Franschhoek is not to be missed and this is the Avondrood is the ideal place to stsy.